Hi, I am Iman. 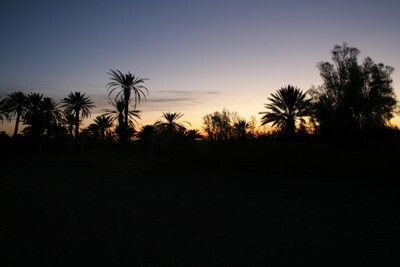 I live in Iran and I love to travel to outback areas. 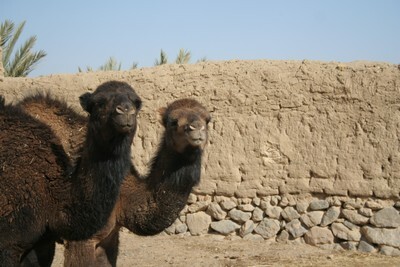 I send some of my pictures from outback areas in Iran for you. This place name is "Bayaze" that was translated to "white place". These areas are completely rural and have lowest modern facilities such as light, phone. This picture and next one are Toran Natural Park. These picture are completely far from any facilities. Even I could not used my mobile phone. 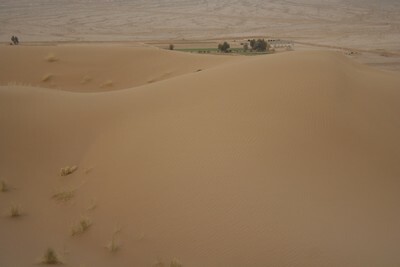 These are more pictures from desert areas. 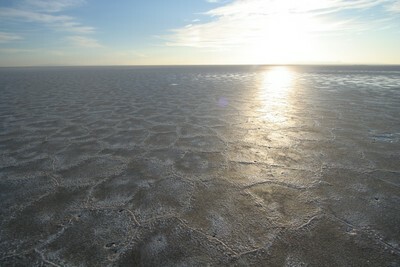 This is Tabas Salt Land. When I was a child, when we traveled to another cites in road, I watched the far mountain or lands from inside my parents' car and wished to travel out of the roads that people thousand of time have passed from that. I think my spirit is a gypsy. I work in a factory during day. I don't like my job at all. Sometimes during day I say to my god. "please save me" but I heard nothing. Now I want to help myself. I want to be free more than a bird. Iran is a great country for visiting but not for living. I am trying to immigrate to Australia. I study mechanical engineering in Iran and I have enough score for immigrate to Australia. I only need an IELTS overall 6. I want to say thanks for your great website. In my opinion "about me" is your masterpiece page. As you write in your site "Do just once what others say you can't do, and you will never pay attention to their limitations again." 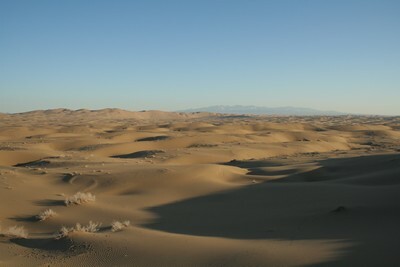 Until yet I only send picture from hot and desert parts of Iran. 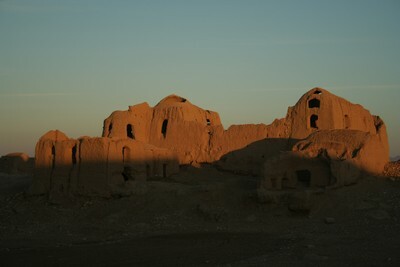 In other days I try to send pictures from other parts and historical places in Iran. 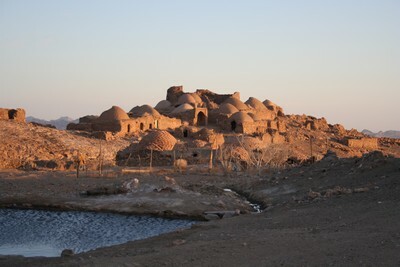 I will send you some picture from unusual part or place of Iran that are not so famous but are beautiful. At least I want say: travels are waiting for us in far lands. Excuse me for my weak English. 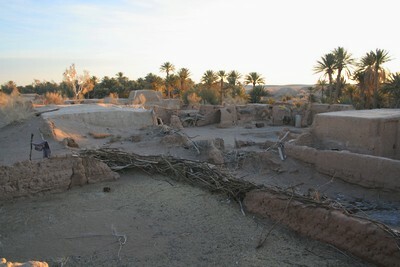 In middle of central desert of Iran, a desolate village exists which is called "Kur e Gaz" (was translated to: very far tree). No road, no light, no phone, nothing. The population of Kur e Gaz is only 1. Yes it is a real story. Only one man has been living there for 40 years. His name is "Abdolhosain". When he was young, he fall in love with a girl who lived in another village which is called "Arosan" (in English was translated to brides). Her name was "Narges" (narcissus). The girl's father accepts that they get married. But in marriage day he said "NO". He said to Abdolhosain that he can marry her ugly and old sister. Abdolhosain tried so much but several month later Narges got married with another man that had more lands for cultivation. 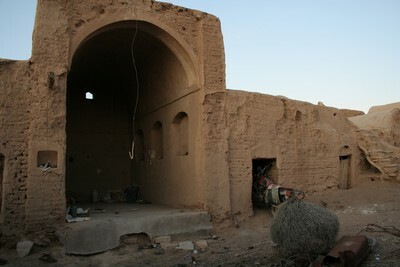 Three days later Abdolhosain left Arosan and went to the Kur e Gaz. At that time Kur e Gaz was desolated. From that time until 3 years ago he has been living there alone. At first his family or his friends try to encourage him to come back. But he never come back to Arosan. He made home from mud and made a small farm. He has been waiting for Narges. 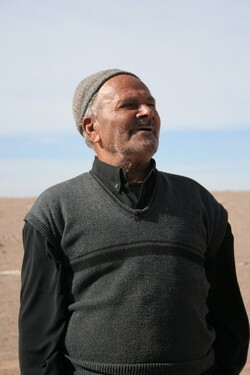 3 years ago, after 40 years waiting, Abdolhosain lost his mind and his brother came and took him to his house in Arosan. Two years ago, I went there to saw him. (I heard about him from a friend with gypsy sprite like myself). He wasn't there. 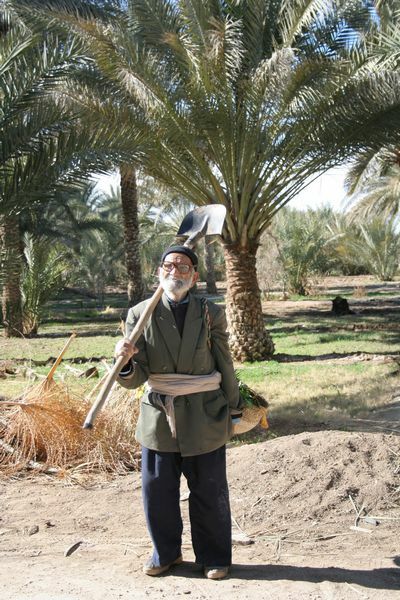 I saw a man that came to irrigate palms. I asked him about Abdolhosain. He said :"I am his brother and now he is in my house." I said: "Can I see him?" he said: "No, he cannot see anybody, even my wife. He become angry. He does not know anybody. Except me." Now I do not know is he still alive? Perhaps he is the last hero of love in Iran. Thank you! Those are great photos. I love desolate landscapes like that. Thank you also for the kind words about my site. I really like what you say about helping yourself. So many people dream about moving to Australia but are not determined enough to do the research and go through the application process (which I know is not easy). It's great to hear you have enough points for a skilled migration visa. A language is something that can be practised until we are good enough at it. I am sure you will soon achieve the required IELTS points. Please don't apologize for your English. It is certainly a lot better than my Persian :-). Thanks again for taking the time to send all those beautiful photos of Iran and I wish you all the best for your future in Australia. these are absolutely stunning photos. Well, I am someone who discovered the love for Australia too late. Australia has age restrictions when you apply for a working visa. So go ahead, follow your dreams, and good luck to you. I lived in Iran for 4 years until just before the revolution, and went back on a visit 2 years ago. Not much has changed, the country is still as stunning as I remembered it, the people were totally wonderful, hospitable and friendly, just as they were in the seventies. For my visit 2 years ago I had to wear the chador, which I didn't have to wear in the seventies... I just loved your country! Your spirit will bring you to Australia, and you will find other Iranians here who have settled well; you will find a terrain in places similar to the Alborz mountains, the rugged terrain and the deserts which may make you homesick. As an EFL teacher (now) I can say that you will for sure pass the IELTS, your English is good, far better than my farsi... you need to practice speaking English as much as possible - your written English will pass you for that portion of the test. I stumbled upon this site just by chance. I must say what a great site this is. I am facinated by Iran and wish to go there and settle. I am from England and my forefathers were from Iran. I love these pictures Iman, you have done a great job, visiting these far off places and letting us know that they still exist even in this modern era. 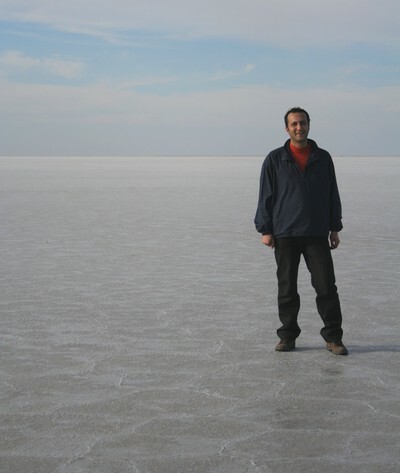 Your picture standing in the salt desert reminded me of an Iranian friend who used to mention that during the Shah's Regime, those opposing him were taken to this salt desert by helicopters and left there to die of thirst. I am a Curency Trader and teacher. Please visit my website and have a look at my picture. Thanks for sharing your thoughts and dreams with us. 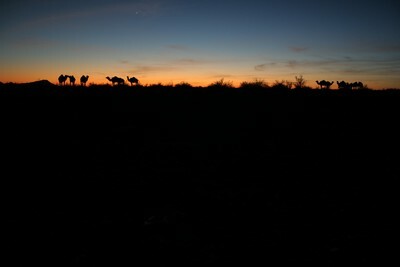 The outback photos are great. I guess as an Aussie we tend to take things for granted and most of us haven't had to endure the hardships faced by most people in your country. There are plenty of jobs in Australia for engineers and you should try some of the large mining companies as a starting point. Good luck, I hope that your dreams become reality. Hi Iman. I read about your life and views, your story and it moved me deeply. 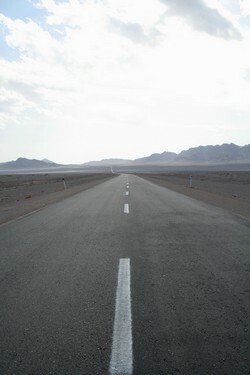 Iran has the same sort of desolate beauty as Australia and we can all fall in love, no matter who or where we live. Beautiful photos, thank you for taking the time to share these things with us. Hope you get to Australia soon. Thank you for showing us those wonderful pictures of Iran, and for telling us the sad tale of Abdolhosain. It really touched me deeply. You have a gift of storytelling. I hope you will realize your dream of emigrating to Australia soon. It is the best country in the world, and I should know, for I lived there for 5 years a long time ago. I left involuntarily. That is a long story. And B, you have the greatest website. I thoroughly enjoy it. I have started SBI and hope to replicate your success. Fantastic pictures of your country. I would like to travel there one day, maybe you could come and see our outback. Nice photos! I'm from the US and have travelled much in this country, but want to visit Australia, and Iran some day. You had great experience. Thanks you to share it. These days emigration is very common in Iran especially among young people. I sure that you'll be successful. But Iran is good for living too. Thanks for sharing your photos and stories Iman, I've always wondered about outback towns in countries like Iran, thanks for sharing.